There were good reasons for making Ole Gunnar Solskjaer the permanent Manchester United manager. And there was a bad reason. He got the job for the bad reason, which is that while he was caretaker United won nearly all available points in the Premier League and reached the quarter-finals of the Champions League. I shook my head in despair. Woodward should have listened to Solskjaer. He was right about the Arsenal result. He was right about some other results too. I was relieved to hear Solskjaer say that United had won games they did not deserve to win. I had been watching them and thinking the same thing. One good reason for giving Solskjaer the job – though not the best, which I will get to in a moment – is that he seems to appreciate the distinction between results and performances. Permanent is of course a strange word to describe a managerial appointment. We use it now out of habit. No managerial appointment is permanent. United have had four permanent managers in six years. In one game there can be a big difference between the play and the score. Even over 19 games – which is how many United contested in all competitions while Solskjaer was caretaker – there can still be a sizeable discrepancy. I analysed United’s 13 Premier League games with Solskjaer as caretaker. Their stats suggested to me that a fair return would have been 24 points. What United got was 32 points – eight more. 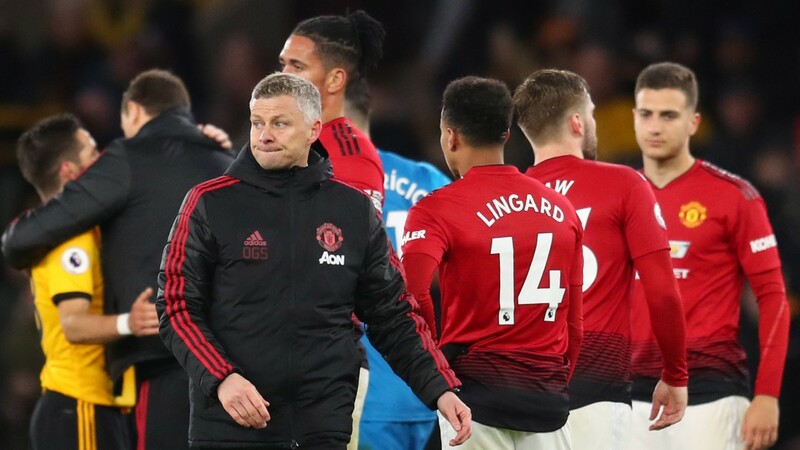 Twenty-four points is more than they would have deserved if they had played as badly as they played before Jose Mourinho was sacked, but many managers should have been able to tease better performances out of the highest-paid footballers in England. United, though, won even more points than their much-improved displays warranted. Almost everyone takes results at face value. It is a sign of what I call fandomness, which is the guiding spirit of our time. So what was the best reason for inviting Solskjaer to remain United manager beyond the end of the season? Simply this. He is as likely to do well as anybody else and he seems to be a likeable person, so why not let him carry on? There must be 500 people capable of managing United. Some in the long run would preside over better results than others. Which ones? There is no way of telling. Who in the long run would preside over the finest results of all? There is no way of telling. Owners and executives have no idea who would be the best manager for their club, though many of them seem to think they do know. Nobody else knows either. When United made Solskjaer a caretaker manager I said they had taken a risk. The risk was that if the players happened to string together some really good results there would be a seemingly irresistible clamour for Solskjaer to be given a longer contract. That is what happened. By giving Solskjaer a longer contract before the season was out United have taken another risk. Imagine what would happen if results flagged and United were knocked out in the Champions League quarter-finals and finished outside the Premier League top four. Then people would say United had acted too soon. They would be the same people who before last week were urging United to act more quickly, but they would not remember that they were. I like Solskjaer. I liked him as a United player. I like him as United manager. I hope his career as United manager is gloriously successful. It might be. But his results as caretaker do not tell us whether it will be. Results speak for themselves but they do not always say what they mean. We are fooled by randomness in an age ruled by fandomness. It is not only in football that people find meaning in things even when there is no meaning. Luis Bunuel and Salvador Dali released a film in 1929 called Un Chien Andalou. It was first shown in a small cinema in Paris. Bunuel and Dali wanted to be accepted by surrealists. So they made a film they thought surrealists would like. The surrealists were trying to write, paint and sculpt using the unconscious mind rather than the conscious mind. They wanted to make art that was creatively irrational. Bunuel said that when he and Dali made their film: “The rule was refuse any image that would have a rational meaning”. This has not stopped people finding meaning in it. For a 2017 documentary called How to Be a Surrealist some Parisian art students were asked to watch Un Chien Andalou. They had no trouble discerning meaning in the meaningless. One said the film was about love. Another said it was about spring and winter, which represented a balance between life and death. A third said there were undoubtedly underlying themes, though they did not say what those were. It is not only when watching football that people think everything has a meaning they can identify and explain.